I cannot for the life of me remember where I first heard about this product, but I am so glad I have found it. The Kevyn Aucoin Sensual Skin Enhancer is a multipurpose product and comes in a whopping 16 shades! It can be used as a traditional concealer, a spot foundation, a normal foundation, a tinted moisturiser when mixed with your regular moisturiser and even a highlighter if you choose a lighter shade. It is pricey at £38 for a 18g pot but, let me tell you, a little goes a long long way. The texture is thick but creamy and it is so highly pigmented that you only need the tiniest amount to cover a blemish, and a pea size amount would probably be enough to cover your face twice! The Sensual Skin Enhancer contains honey and jojoba oil so it is moisturising on the skin and this helps to create a silky texture. I have used this concealer so many times and as you can see from the photo above I haven’t even made a dent. You can just about see the little strokes from the brush I use to get the product out the majority of the time. I have mainly been using this product to cover blemishes and as a spot foundation to cover some red patches along my jawline. Though I am intrigued to try it as a tinted moisturiser so have ordered a mixing palette from Ebay – I will le you know how that goes. The finish is slightly dewey, but it works perfectly on oily/combination skin, it doesn’t look greasy at all. I have used my finger, a brush and a damp Beauty Blender to work this into the skin and they all did the job really well so it is up to you how you choose to blend it in. When choosing my shade I had to go by the swatches and descriptions I found online and luckily I chose the perfect shade, SX03. If you have a skin tone similar to mine (MAC NC15 or Chanel B10) then this will probably be a good shade for you. I used this post on pixiwoo.com and this post on beautyprofessor.net to figure out my shade. 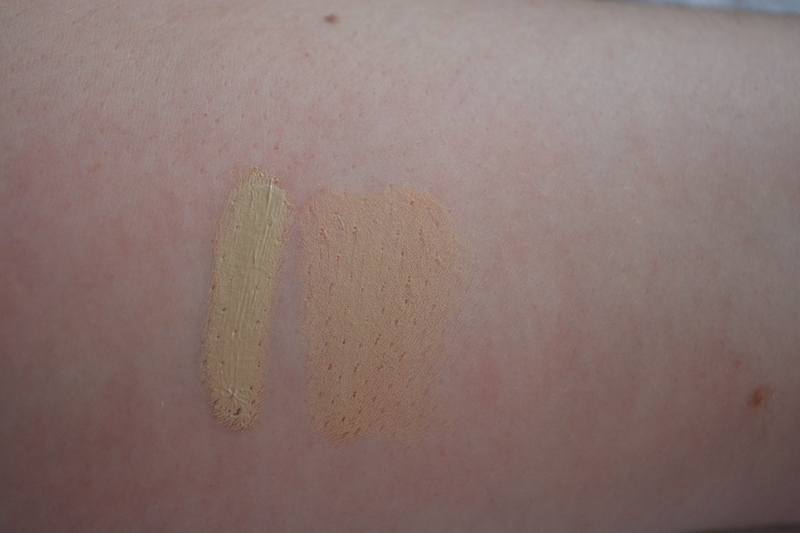 As you can see above, when you blend it out it does look slightly darker but don’t let this put you off as it blends perfectly with my foundation and into my skin. Overall I am so happy I splurged and purchased this product. I think the pot will last me the rest of my life – providing it doesn’t go off! The Kevyn Aucoin Sensual Skin Enhancer retails for £38 and is available from Space NK and Cult Beauty in the UK.